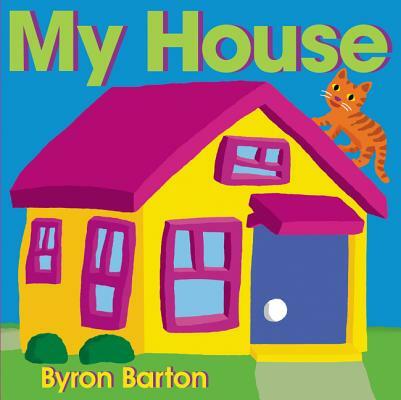 With bright, clear illustrations and clean prose, award-winning and bestselling picture book creator Byron Barton deftly familiarizes young children with the various rooms and important parts of a house in this companion to his critically acclaimed My Car, My Bike, and My Bus. Jim the cat leads a tour through the bedroom, the kitchen, and even onto the roof before his owner Jane comes home and makes his dinner. The rhythmic text and bright illustrations make this the perfect book for repeated readings and the perfect introduction to the concept of home.